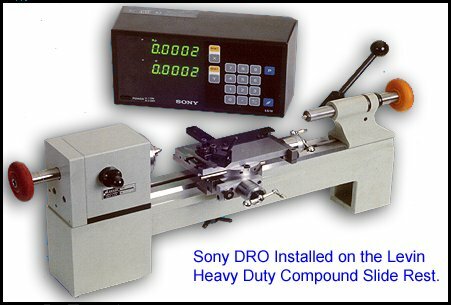 LevinLathe.com: LEVIN Heavy-Duty Compound Slide Rest Featuring The Sony High-Resolution Digital Readout System. Levin recognized for 60 years as a standard in the instrument and miniature component manufacturing industry, is pleased to offer the proven accuracy of Levin craftsmanship with the additional advantage of Electronic motion detection for use in the Lab and R&D environment. Sony's development of the smallest scale known to be available has made this upgrade possible. 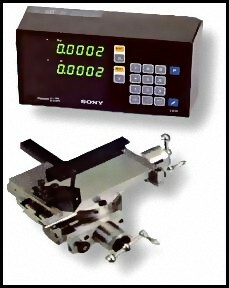 The scale assembly is available for retro-fit or as an option with the purchase of new equipment.